Of all parts of a drum set, so studies say, drum heads have the greatest influence on how your drums sound. A high-end set can sound cheap with low-quality drum heads, and a cheap drum set can sound amazing with amazing heads (I’ll show you video proof further down). Until I dove deep into the realm of drum heads for this article – and found out that actually it’s not as difficult to understand how drum heads work. If only somebody cared to explain it in plain English. So you’ll get exactly this: an easy-to-understand explanation of how drum heads work – and how you can find the “best” ones. 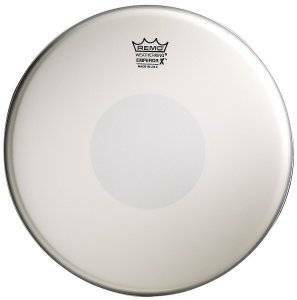 And since “best” is relative to your purpose, I’ll be showing you the best drum heads for rock or metal, the best ones for jazz and the best for the church. Plus: for each style, I’ll show you snare drum heads, bass drum heads, and packs of tom heads (which will save you money). Evans or Remo Drum Heads? A Cheap Drum Kit With Amazing Sound?! 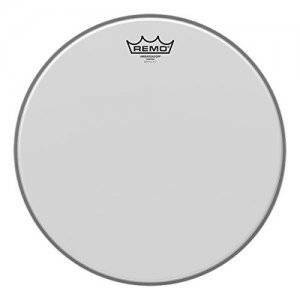 Evans and Remo are the major drum head manufacturers. And deciding whether to go for one or the other is like deciding whether to pick brown or white chocolate. Both are great as such but it all depends on your taste! In the end, the decision comes down to what “feels” best to you. So just pick one brand now and try the other next time you need new heads. Before you kill me: no, I don’t think rock and metal are the same. But I think that drummers who feel themselves affiliated to any of those two styles usually want to achieve a damn punch when they hit those drums. The Emperor X is as thick and therefore has as little sustain and overtones as you can get. So the tone will be low-pitched and the coating will make it very powerful. The dot will add some muffling and increase durability. After all, snares are hit most frequently of all drums. Available for all snare sizes. The only difference to the Remo Emperor is that the two layers of this head are thinner in total (10 + 7 mil). But this will only make for a very subtle sound difference. 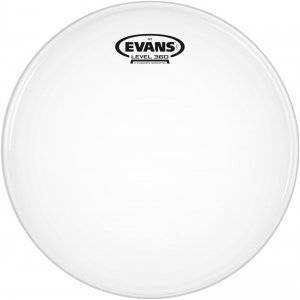 I’d recommend to let the design guide your decision, as the Evans EC coated looks quite different from the standard. If you’re playing jazz, you’ll probably want a some amount of sustain & a somewhat high pitch. That’s why I recommend single ply (single layered) heads. You also likely want a gentle response rather than a punch from your drums. So I’m showing you coated heads. Two differences to the Remo Ambassador: the dot in the middle (hidden away at the bottom side) reduces the sustain of this head a tiny bit. 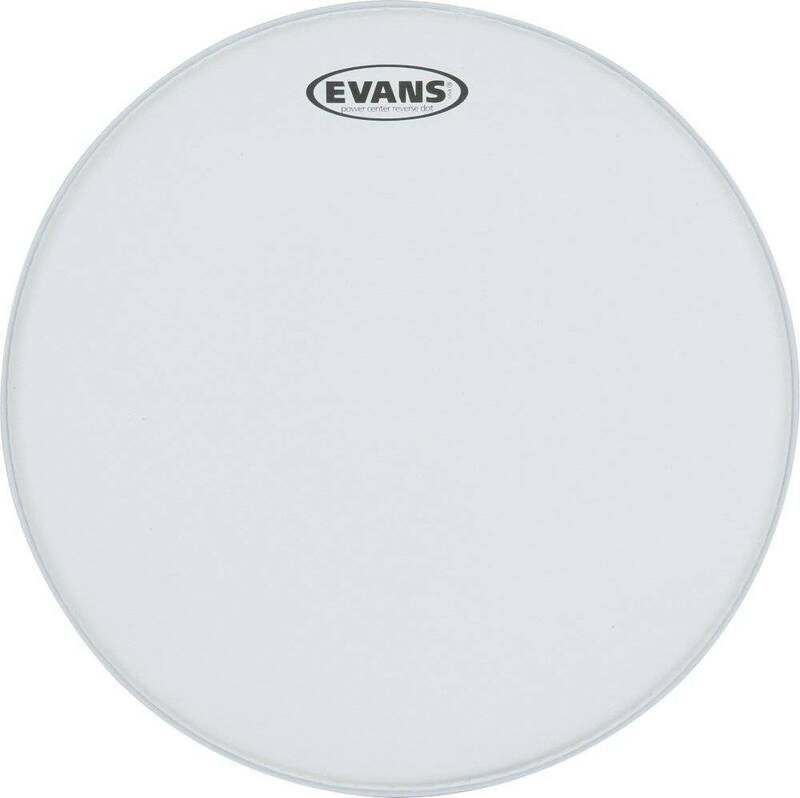 And the Evans Power Center is available in all possible snare drum sizes. (Even for kids drum sets). G1 means single ply and this head has a particularly thick layer (10mil). That means, it has got overtones and a high pitch, but not excessively so. Available in all possible tom sizes. Properties are the same, so there’s only the customary chocolate-or-vanilla sound difference between Evans and Remo (above). Yet, on Amazon these tom heads are only available in 10”, 12”, 14” (fusion pack). If you’re after reducing some of the overtones, this head’s “externally mounted adjustable damping” ring will serve you better than the Remo. Otherwise it’s chocolate or vanilla again. Available in all usual bass drum sizes. 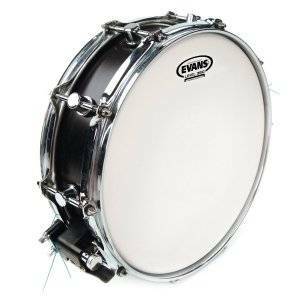 Just like the Evans this head will give you a high pitch and a gentle response. Different from it, there will be more sustain because there’s no ring here. My favorite for the jazz bass drum! Available in 22”, 20” or 18”. In most modern worship settings, you’ll want to have a sound in between of rock and jazz. First: less sustain than in jazz, because church architecture usually provides enough of that already. So we’re going double ply (double layered) heads. Second: not as much punch as in rock, because (usually) you don’t want to blow people from their seats. So we’re going coated. You might notice that these heads are actually single ply. But they both have a muffling dot that makes up for the additional overtones. The dot produces a muffling effect which is valuable for church and also enhances the head’s durability. “Reverse” means that the dot is on the back of the head so it doesn’t get in the way once you play with brushes (in which case you swish over the surface). Available in 14” or 13”. Essentially the same characteristics, but this head is available in all possible snare drum sizes (for kids drum sets too). A little sustain and overtones and a gentle response on top. That’s as good as your church toms can get. Available in all tom sizes. Although this is single ply, the “externally mounted adjustable damping” ring will reduce some of the additional overtones and sustain this layering would have.The ring is applied on the surface of the head and you can use it full-size or in half. Anyway, this head will give you a mid-pitched tone with a gentle response and some sustain. Available in all bass drum sizes. Just like the Evans this is single ply too and also has a damping ring which reduces the higher overtones (black line at the edge).Contrary to the Evans, the damping ring is applied on the inside and you can’t take a portion off of it. Available in 18”, 20”, 22” and 24”. additional mass on surface. If there is some, the head is coated. If there isn’t it’s clear. Two layers of a head (“double ply”) will vibrate “against each other” and thus cancel each other out pretty quickly. The result: Short sustain (time spent vibrating). Two layers will also be thicker than one, and thickness means the head vibrates at a lower frequency. The result: Low pitch / little overtones. A single layer (“single ply”) will do the opposite and give you a longer sustain + higher pitch / more overtones. A coated head has more mass on the surface than a clear on. This adds a dampening effect. In subjective terms this means: coated heads have a less pronounced attack. There isn’t that much of a hit or slap. Clear heads, by contrast, have no dampening and thus a considerable attack, punch, hit or whatever else you want to call it. So there you have my best drum heads for rock, metal, jazz and the church. Now I’m interested to find out what your recommendations are! Or do you have a question left? In any case: let me know in the comments. I’ll respond to every one of them! Just wanted to say thanks for this guide. As someone who just bought a drum set for the first time, it was VERY useful! Thanks a lot Darryl! I highly appreciate that! Coated drum heads should never be used for anything but the snare drum. Coated drum heads are designed to take a greater beating, yes. However, the main use for a coated drum head is to provide the sound for the brushes when they’re used on the head (the ‘swishing’ sound). 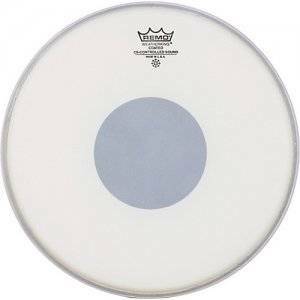 Another reason the clear heads should be used on toms and bass drum is because they offer the best resonance, which is essential on those heads. The snare drum does not require resonance and needs to have more of a ‘pop’ or ‘crack’ sound. This is provided by the coated drum head. Thanks for your comment, but I think I can’t agree with you on that. Coated heads for toms, for instance, are used massively in “softer” styles such as Jazz or Latin Music, because the coating adds a tiny layer of material and thus some muffling which gives the toms a more gentle, less punchy sound. So in my view coated drum heads are essential to some musical styles and go far beyond the snare drum (although you’re right: they do help with brushes on the snare). Completely wrong. Some of the best drummers out there are using coated heads on toms. They actually have a nice fat focused sound on toms. I just switched from my clear tom heads and it was the best move ever. My toms sound incredible now. They sounded like plastic before. Now they have attack, warmth, focus, and they sound HUGE! Try it yourself. Evans G2 coated. Thanks for sharing your opinion on Drummer0 (and I don’t only say that, because you’re agreeing with me previous statement.) I do think there is a place (in fact there are many) for coated drum heads in all kinds of great music and drumming. What??? I think for most people the choice between brown and white chocolate is pretty clear. Hehe, you’re right. I changed this 🙂 Thanks for pointing it out! Thank you for this write up. I have never replaced the heads on my set and it is time to. With all the information out there it can be a little overwhelming on deciding where to start and this has helped me simplify the task. I do have a couple of questions though. On the bass drum, do you have any info on the resonant head? And ported or not? I still have the stock head that came with the set and want to replace it too. Any info would be greatly appreciated. Thanks for your questions and your kind words! Hm, to be honest I’d try replacing the batter head of the kick first and see if it makes a difference. For me it always has – and to such an extent that I’ve very rarely changed the reso head at all. If you want to do this at any cost, please specify: (a) for what kind of music, (b) in what kind of setting, (c) on which set? Thanks for the response. I play rock/classic rock. Most of the time I play small settings like bars and parties. Then I have at home practice and practice at a band members house. I play on a 5 piece Mapex Venus Series. The reso head on my bass has a 10″ diameter port hole in it, and to be honest it has never really sounded the way I would like it to. It mainly has just a thump sound. You know it is the bass drum, but it’s presence just seems lacking. I have seen some articles and forums say that a 7″ hole is the biggest you would want. So I’m not sure what I should be looking at. Then I’d recommend the Evans REMAD with a port already included. I’m sure there is an equally good reso head by Remo or Aquarian, but this one is the only I’ve used and stuck with (as I said, I don’t change my reso heads often). Tuning should do the rest. Here’s a good collection of bass drum tuning tips. Thank you, Yannick for your help. I will give these a shot and see how everything goes. My pleasure! Good luck for all your drumming ventures! Thank you for this in depth article. What reso heads do you recommend for toms and snare on rock music? 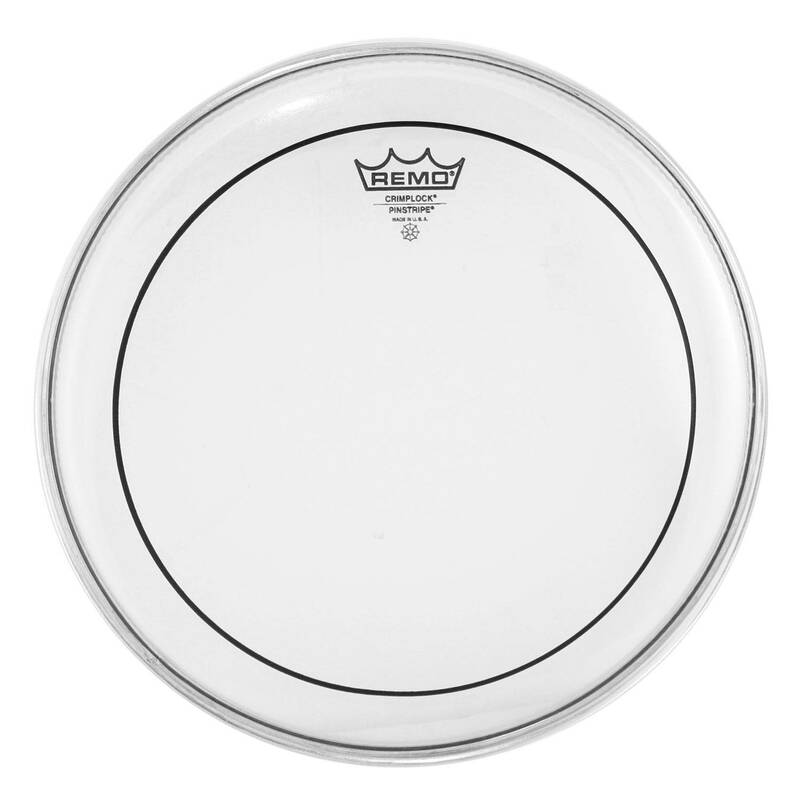 For that I swear by the Remo Ambassador clear heads (they can be used as both batter and reso heads). I usually buy this one for my snares and this pack for the toms. Let me know if there’s anything else! Thanks for the AWESOME article! So helpful. 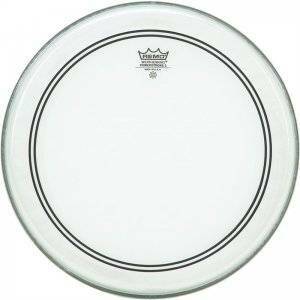 I’ve seen you’ve made no mention of Remo Clear Emperors. I play a mix between gospel and r&b and I’m contemplating getting them for my kit. 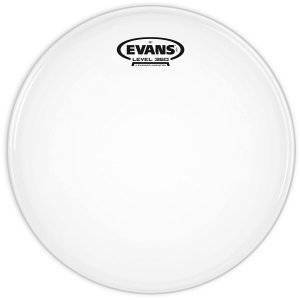 I currently play Evans EC2s which I love but I want a controlled yet open sound? Sounds like a paradox but I hope you get what I’m saying. Clear emperors on batter and ambassadors on reso? That depends on what you mean by “controlled yet open”. The Clear Emperor is still double-ply giving you a good punch (short sustain + low pitch) – and the Amabassador is single ply which would make the sustain a littler longer again and the pitch a little bit higher. If that’s what you’re looking for, yes, for sure, this can be a good combination! Thanks for the great article, Yannick! For jazz, is there a reason you recommend the coated Ambassadors all around, but not the G1s for the snare and bass drum? Just trying to understand the comparison. Also, for the reso side on the Toms, do you have any recommendations (again, for jazz)? Perhaps the same as the batter? You’re welcome! I like the G1 for jazz snare and bass too, but the Ambassador suit my personal taste a little better. So this is only due to personal preference. For the reso side (for jazz). 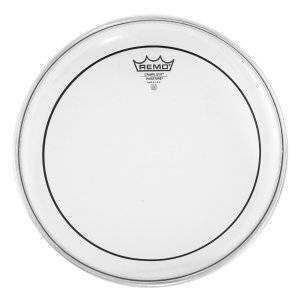 I mostly go with clear Remo Ambassadors (if I have Ambassadors on the batter side). Great – thanks much, again! how do sides and pairing them with batter heads work? 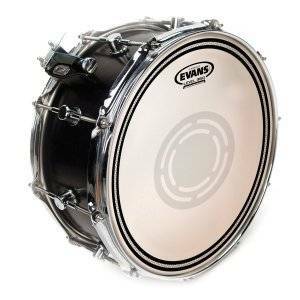 for example if i get an Ambassador Coated 10mil for my snare what characteristics of a side snare is best to compliment it? Thanks, Oly, and thanks for your comment. Hard to say without knowing the type of music you play. Generally, I look for a contrast in my side snare and I usually don’t really on heads to give me that contrast. 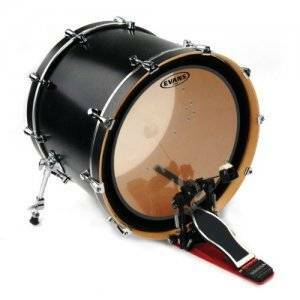 Instead I’d choose a different snare (different diameter and/or depth and/or wood). Thank you for the article Yannick. I’ve been playing drums for over 40 years and have tried all kinds of heads: Remo, Evans, Aquarian. 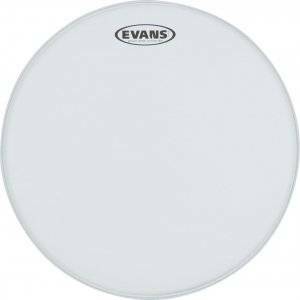 I’ve most recently settled on the Evans heads because I love the technology and the ease of tuning. One head I am very fond of in the Evans Genera HD Dry on snare. I use it in church and in the studio. It gives a warm, fat sound and holds the tuning well. I totally agree with you on the EMAD heads, they’re wonderful. Never too old to learn new stuff. Thanks for sharing. Very interesting and surely very helpful for anyone reading this article. Cheers! Thanks for checking out the music. We write and record all of our own material. 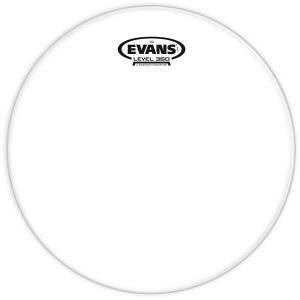 Agreed, the Evans Genera HD Dry is the best snare head I’ve ever used. I play rock music. Takes all the ringing and overtones out, leaves a fat snare sound. Awesome, thanks so much for sharing this, Josh! really useful article! I would have had little idea as to how to go about purchasing drum heads without it. Which reso heads would you recommend for my situation. I play stoner- heavy metal and soon will be playing live (which is why im updating my heads). 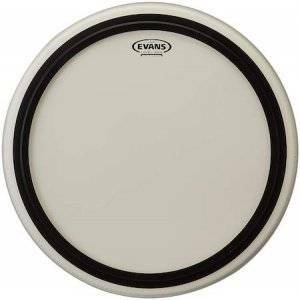 I’m interested in the evans g2 (probably coated) and the remo emporer x. Also would you recommend keeping the same head on the bottom as on the top – will having different types of head on the top and bottom be noticeable, and if so could you explain how this would affect it? Thanks Noah! I appreciate it! Both the Evans G2 and the Emperor are very good choices for harder variations of rock music. Which one you pick is totally up to your individual taste (and ear). I recommend you watch a few videos on YouTube with them being played and decide on that basis. I’d also recommend you keep your bottom heads for now and see what kind of difference the new batter heads make. If you’re not satisfied then, you can still buy new reso heads. Which is the best snare head for country music? Thanks for your question!For country I’d go with an Ambassador Coated for a crackingly dry sound on the backbeat. Hello, thank you for this really complete guide! Please can you let me know which heads should I use for the reso side for toms, snare and bass? I’m changing all and will use the evans you suggested for the drummer side. My setup is standard (12”,13”,16” toms and 14” snare) and will use it for church. Thank you again for this amazing guide! Thank you for your kind words, David! I appreciate it! I like these Evans for resos. Which heads would you recommend for single headed Toms as the Tama cocktail Jam ? On cocktail / single-headed drums I’ve liked any model of the Emperor series well. They should be coated though to give you an added bit of durability and muffling. If that doesn’t work out for your tom sizes, I have also seen success with the Ambassador coated. I play rock, specifically AC/DC tribute. My kit is a Tama Starclassic Birch/Bubinga 13 rack, 16 and 18 floor and 24 kick. My drum head selection has always been with the goal of low and fat sound. I have used Evans EC2’s, Remo Pinstripes and even a brief run with Aquarian Vintage Deeps. The resos are Evans EC level 360. I’m happy with my Emad2 kick batter but I haven’t found a tom sound I’m happy with. I tune my reso a little higher than my batter. The 16 and 18 floor toms are massive and I want a big sound from them. I think I’d like more of the tone of the shells than I’m getting and am considering trying coated single ply batters. Do you think this is a good idea or maybe tune reso same as batter? 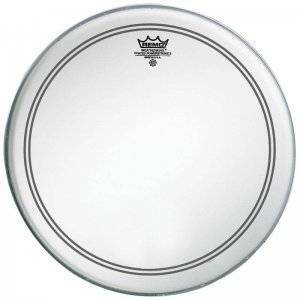 Of the three heads I’ve used, I probably like the Remo Pinstripes the best. These are only played in a live setting and I hit hard. Generally, tuning your reso higher than the batter head is as legit as tuning it the same as your batter. And so is: tuning the reso lower than your batter. How you do it depends entirely on your preference, but from what you’re saying (“low fat sound”), I’d say reso higher than batter head is the way to go, since that produces a less pronounced attack which I think most people would interpret as a “bigger” or “fatter” sound. I can confirm that I’ve only heard good things about the EC2s – yet, I haven’t tried them myself and therefore not included them in the post so far. But they tick both boxes in terms of my Rock / Metal criteria (double ply and clear) plus they come with a dampening effect (the “SST”) which will give you an even lower pitch / less overtones. 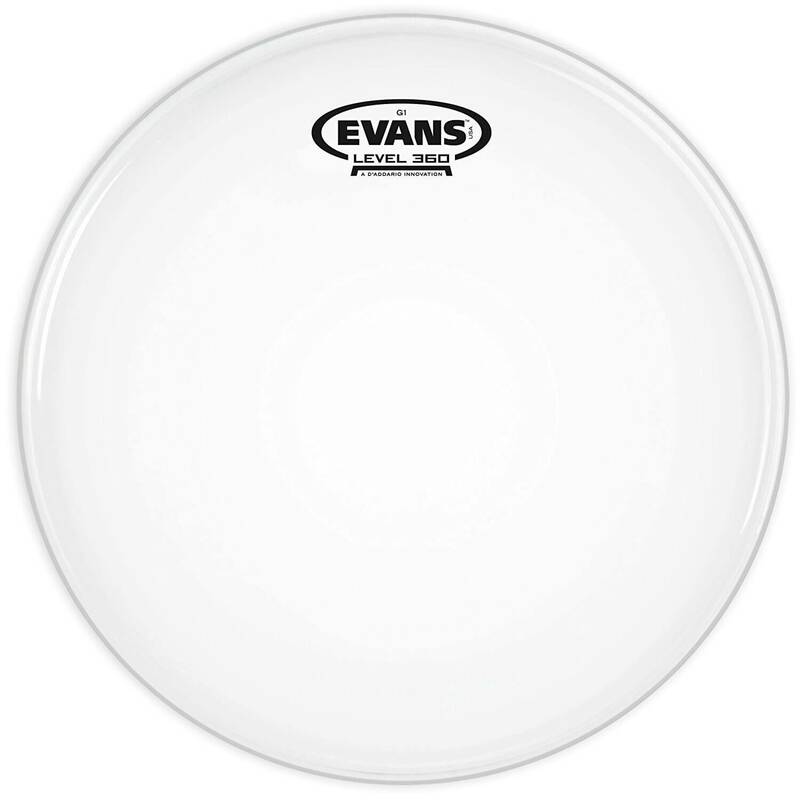 As for the Evans Hybrid – I need to check it out. Looks very interesting but can’t comment on it. If you get it, please let me know how it works out for you. I like the recommendations for the rock/metal batter heads but what do you recommend for the bottom head? Actually, I recommend to change the battery heads first and evaluate the improvement. In my experience, this usually completely upgrades your kit and there’s no need to buy bottom heads too then. Thanks for your question and sorry the answer took so long! I always recommend to ONLY change heads on the batter side and leave the resos as they are. Very often this will improve your sound so much that won’t need to lift another finger (and spend additional money). As for the porthole: I like it, but here too, I’d evaluate how your bass drum sounds after changing the heads. If you can’t achieve the desired punch, try cutting a porthole into it. Thanks for your reply yannick, I’ll keep in touch. Awesome article, very helpful not only for new drummers but also for old timers. Informative and comprehensive. Cheers to that. Thanks for your kind words! And cool you’re following Siros – he seems to be doing amazing stuff! As for your question, I have no practical experience with “bass drum in a floor tom” tuning myself. However, I know the concept and I don’t see why the EMAD UV or the Aquarian SKII wouldn’t work. At the same time, though, why don’t you go for the exact same head that Siros is using: the Evans EMAD Calftone? For if you do so, you’ll find the exact tuning blueprint over here.